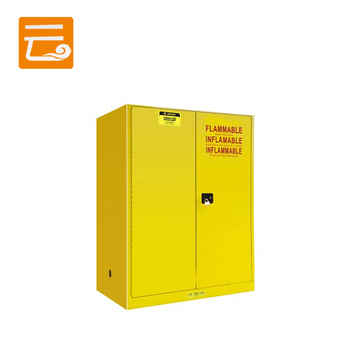 1.Safety Acid Storage Cabinet export package. 1.Double wall construction with 38mm insulating air space for fire resistance. 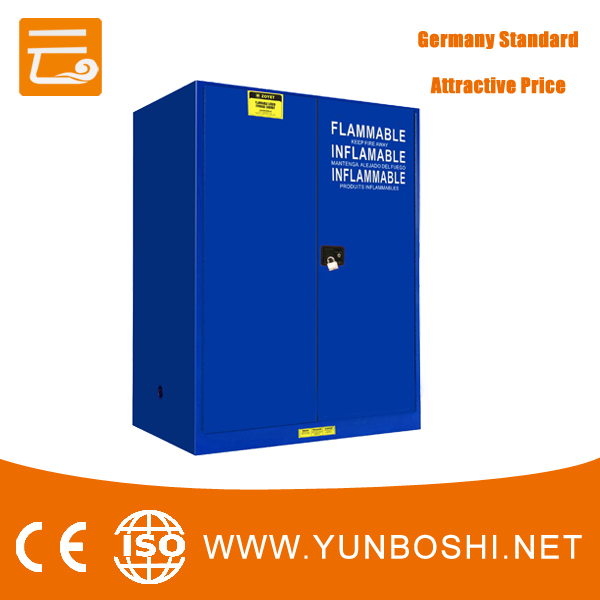 2.Over 1.2mm thick, fully welded, construction holds squareness for longer life, offering greater protection in a fire. 3.5cm leak tight sump at the bottom of cabinet’s maximally catches incidental drips. 5.Standardized warning label is highly visible and anticorrosive. 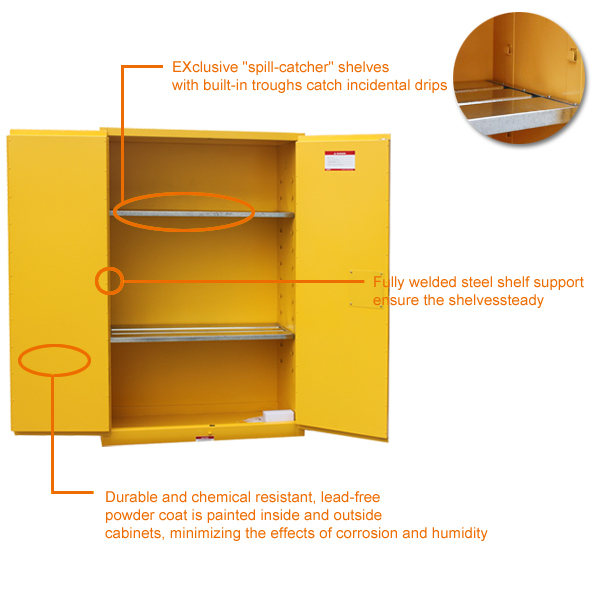 cabinets, minimizing the effects of corrosion and humidity. 9.In terms of OSHA, on outside side panel, there is built-in grounding static connector for easy grounding.